I started to illustrate a new fashion item on a different day. I have a love for fashion, and want to show you what kind of beautiful fashion creations are made nowadays. But also the earlier influences in fashion are something i can really appreciate. After MONDAY SHOE it is time for A BAG ON WEDNESDAY. So for one year you can see “A bag on Wednesday” every week on my Instagram page. The first bag on wednesday that i posted on March 14, is one of my favorite designers Sarah Burton. Its a fragment of a beautiful made dress with an amazing clutch. Together with a feeling of femininity, power and fragility this beautiful clutch is some item to fall in love with! 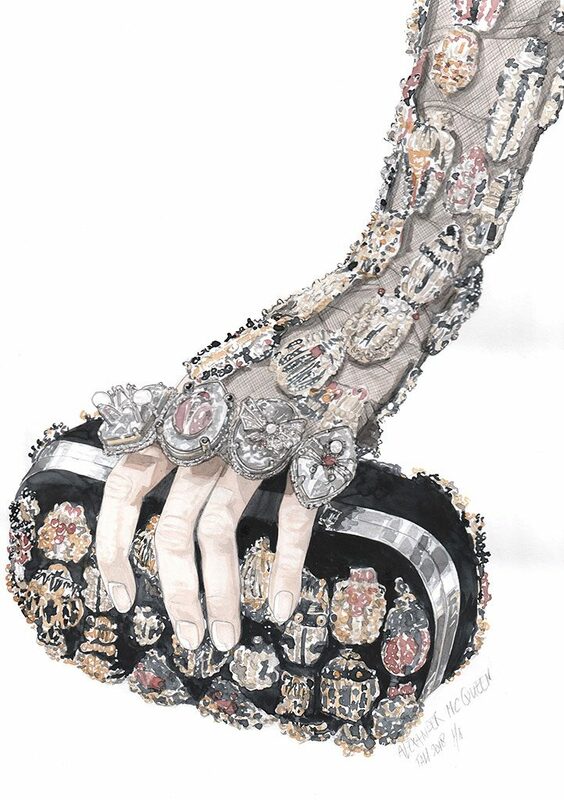 I absolutely admire the embroidery and love that the jewelry is actually the handle of the bag. 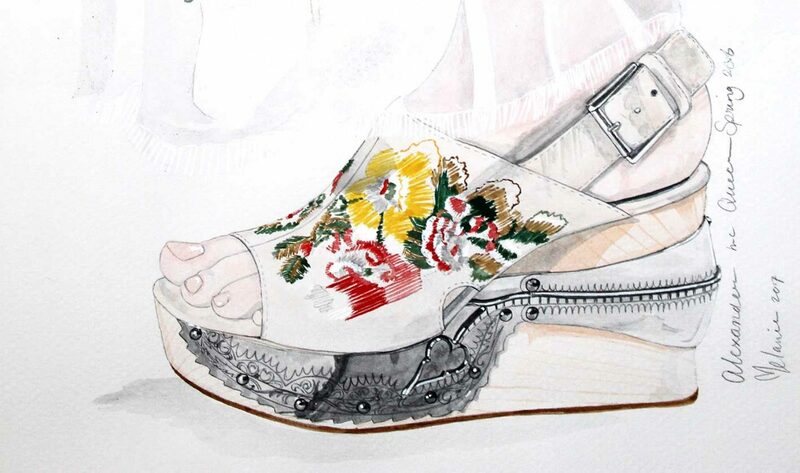 Sarah Burton talked about the various aspects of woman’s personalities. Strength, fragility, perservance and how those aspects flow into the other.